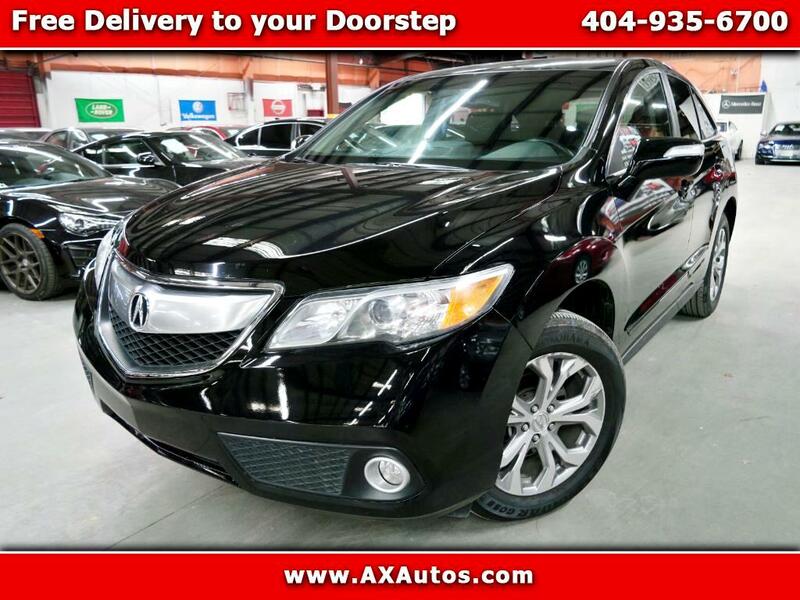 2013 Acura RDX Technology Package Priced below KBB Fair Purchase Price! Bluetooth, Non - Smoker, Garage Kept, Service Records Available, B**, ** Brakes Have More Than 50% Of Pad Life Remaining! **, ** Cerfified By Carfax - NO ACCIDENTS! **, ** Cerfified By Carfax - ONE OWNER! **, ** Certified By Carfax*, ** GPS Navigation! **, ** Heated Front Leather Seats! **, ** MP3 / IPOD Compatible! **, ** Moonroof! **, ** Non Smoker! Well Cared For & Maintained! **, ** Push Button Start! **, ** Technology Package! **, ** V6 - Unbelievable Pick-Up! -- Don't Settle For The 4cyl!! **, ** We Deliver Anywhere! **, Used, **Passed Dealer Inspection**, AM/FM radio: XM, Illuminated entry, MP3 decoder, Navigation System, Remote keyless entry, Steering wheel mounted audio controls. 28/20 Highway/City MPG** Awards: * ALG Best Residual Value * 2013 IIHS Top Safety Pick (When equipped with optional front crash protection) * 2013 KBB.com 10 Best Luxury SUVs * 2013 KBB.com 5-Year Cost to Own Awards 2016 Kelley Blue Book Brand Image Awards are based on the Brand Watch(tm) study from Kelley Blue Book Market Intelligence. Award calculated among non-luxury shoppers. For more information, visit www.kbb.com. Kelley Blue Book is a registered trademark of Kelley Blue Book Co., Inc.